But as ever, having already headed to town for Christmas fairs stocking up on glögg and other seasonal paraphernalia, I figure I’ll try my best to sustain myself a while longer until the caroling commences. 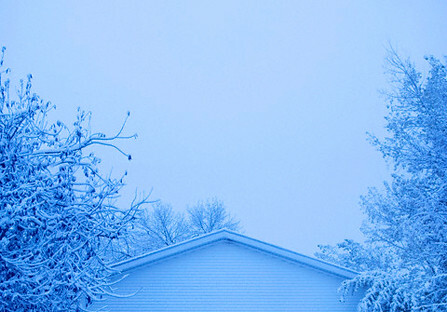 Until then, there are an entrusted few albums fit for impending days of jolly-good tidings to which I greatly look forward — a selection from individually talented artists whose work melds well with the tantalizingly early glimpses of morning frost and foggy breaths of air like clouds as we embrace single-digit degrees in Celsius. Surprisingly not as many Scandinavian imports this time around as on previous on-site line-ups, but still the inevitably indispensable inclusion of several. Combining atmospheric drones and uplifting melodies evoking picturesque, icy landscapes beyond inventive harmonies heralding church ensembles (favourite choral compilation included), I hope this collection will last you until Boxing Day and perhaps well into the new year when ‘Sounds of summer v.3’ is next in line, succeeding the list of favourite compilations due out at the beginning of next month. Ben Frost’s Theory of Machines LP is the vanguard of avant-garde: post-industrial ambient noise in its dark embroidery of awe-inspiring drones through a panoply of depths. Released on Bedroom Community, Frost records at Greenhouse Studios alongside Valgeir Sigurðsson; and as Sigurðsson’s occasional programmer, it’s obvious why the prolific Icelandic producer would so highly regard him — after all, the title track opens Evangeline, the compilation from London’s dubstep maven Mary-Anne Hobbs. What the Australian electro-artist based in Reykjavík has managed to achieve with this crown of monumental experimentation is beyond many words, launching trilled string-lines in high-resonance aural imaging and warped ambient guitars in reverb to produce soundscapes emulating flight. Successive drops of bass in ‘Stomp’ punctuate Frost’s work much like a heartbeat wrapped in the iron gauze of Nine Inch Nails’ Year Zero; and the application of Monolake-style wizardry to Gira’s minimalist instrumentation in ‘We Love You Michael Gira’ is not short of cinematic. Whether in sounds of far-off belfries cut off by static or a utility vehicle in reverse, the suspenseful build of Frost’s orchestral dissonance that morphs into a single piano key in play is breathtaking. With grime and grit encapsulated between smooth edges on all five tracks, the creation holds a beautiful versatility evident in rhythmic elementation of infrasonics. And if that’s not enough for you, check out the work of School of Emotional Engineering and the Cicada contemporary arts collective — both of which Frost is a member and pioneer. 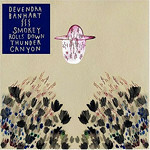 I had trouble choosing whether to include this album or Rockettothesky’s debut, To Sing You Apple Trees. Having decided to go with Medea, in actuality I recommend the two together, as appreciation of one is tantamount to (and even amplified by) appreciation of the other. Not that Jenny Hval’s albums are difficult to appreciate. Quite the contrary: not since discovering Emilíana Torrini have I enjoyed a female singer-songwriter so entirely. Whereas the Oslo-based musician’s first featured deliciously naughty lyrics framed by the high register of her angelically sweet voice, the second is more daringly mature — more avant-garde. The contrast between them demonstrates the extent to which Hval has exceptional command: on the one hand, reminding of Jewel’s Pieces of You with a hint of Nathalie Imbruglia’s forgotten White Lilies Island; on the other, as otherworldly as Björk’s Homogenic and Poe’s eccentric Hello. Indeed Rockettothesky has an ‘I’ve heard you somewhere before’ feel (Hafdís Huld? Karen Dreijer? ), but it’s a familiarity in irony of refreshing originality. Personality imparted in a sound so distinctly Hval’s own, her unapologetic lyricism and musical poetry straddles Norwegian folk and indie-pop, underlined by synth-organs, strings and something else. A contributer to the daily Klassekampen, Hval’s literary background uniquely culminates in memorable titles like ‘They Are Bastards! (We Are Better! 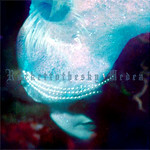 )’ and ‘God is underwater’; meanwhile, ’14, 15, 13, 14′ and ‘The Dead, Dead Water Lily Thin’ capture hauntingly magnetic depths. Two albums that beg to be listened to again, To Sing You Apple Trees and Medea are certainly set apart from the rest this season. Bump into me setting out from Homerton Station at the start of the day, and you’ll find me nursing a quadruple espresso whilst in the thrall of From Here We Go Sublime. I’d previously noted Henrik Rylander as making for the ultimate TFL listening experience; I failed to mention, however, that other Swedish musician, Axel Willner, who wields such power of indelible captivation. Operating under noms de plume, I’d already been fond of his Lars Blek Untitled variants; but with The Field’s full-length debut, I fell into the kind of love that blindsides you in unfathomable scale. Ensconced by both kinetic and optic energies driving every one of Sublime‘s ten tracks, it is as though an elevating oscillation of centrifugal force. 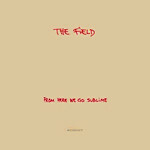 The Field’s marrying of danceable yet lounge-lush minitechno is in a structure averaging 6.5 minutes of looped sample-sculpture kept apace by the subtletest inflections of a drum machine. So identifiable is Willner’s formula as developed on this album and in remixes of supra-genre tracks such as Battles’ ‘Tonto’ and Maps’ ‘You Don’t Even Know Her Name’ that I have no doubt he could take Britney and make something respectable of her sound. Encased in seemingly endless cycles of moreish morsels of jazz and soul bound by masterful engineering in his sequencing UI of choice, one could predict that anything novel about it would eventually give way to annoyance and boredom. But to this day (and it’s been a year in rotation now), I still experience Willner’s gravitational pull whilst plugged into tracks like ‘Everyday’, ‘Over the Ice’ and ‘A Paw in My Face’ — their pith of conjoined harmonies like fresh down-feather blankets of snow. I was introduced a while ago to Düsseldorf-based composer Hauschka by a friend whose recommendations I trust religiously. With the long-awaited release of Ferndorf, I’ve since been able to continue my foray into Volker Bertelmann’s improvised worlds of string arrangements with unadulterated and prepared piano, experiencing the subtleties of modern composition in full embrace of electronic manipulation. In a streamline ensemble of traditional instruments re-invented namely by alteration of key tones via plastic and metal bound to the piano’s organs, Bertelman presents unfurling snapshots of his home village to which he pays tribute. A selection of recordings with cellists Insa Schirmer, Donja Djember, and overdubs from Sabine Baron’s violin and Bernhard Voelz’s trombone, it embodies emotional undertones similar to Tiersen’s, shaped by flexibility in ad-libbed structuring. As soon as the opener ‘Blue Bicycle’ do I find myself immersed in a snow-steeped forest on a sleigh-ride looking out beyond evergreens into a sun-flooded clearing. ‘Morgenrot’, ‘Neuschnee’ and ‘Alma’ drive strings in dialogue, negotiating the utmost in melodious, democratic staccato. The Ionian nature connotations provide a subliminal backdrop ahead of which the cello’s depth is accentuated by violin, intensified in eloquent, homebound crescendo. With Satie’s reductionist mysticism (cf. 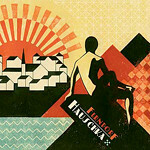 Berlin project Swod), Hauschka’s electro via acoustic construction represents the keys in an auditory study so well-articulated in the language of experimental musicianship; and surely with connections to Music A.M, To Rococo Rot, and Brighton-based Fat Cat Records, that comes as no surprise. En route to Janis Joplin circa 1969 in Stockholm, one somehow comes across Devendra Banhart for the first time (long story). From then onwards, not-too-distant memories of Beirut and José González are found surfacing in the midst of smoky classics from the likes of Elvis or Hendrix. At once psychedelic folk, Bohemian chic and bossa-novian Tex-Mex, Smokey Rolls Down Thunder Canyon is a unique amalgamation of Spanish and English song-writing as expressed through voice-plus-guitar styling often tagged as weird-folk Americana. However, very little is weird about this rather enjoyably sensible album, mellow and understated in its eccentric eclecticism. Born in Houston and raised in Caracas, Banhart is a twenty-seven year-old embodiment of the heart of the fifties, sixties and seventies, commodified for consumption on the beaches of LA as well as the sitting rooms overlooking rainy London streets. His echoes back in time on numbers such as ‘Seahorse’, ‘Saved’ and ‘Shabop Shalom’ are spiritually inspired in presentation, with Banhart’s unmistakable vibrato and acoustic integrity a fine specimen amongst today’s male indie talent. In fact discovered by Michael Gira (mentioned above), Banhart was the first artist to contribute a design for the Yellow Bird Project, also co-curating an edition of the All Tomorrow’s Parties festival and collaborating with Yoko Ono on the ‘Water Piece’ project. For one reason or another, the song I simply can’t get enough of is ‘Bad Girl’; but this album is like that: enduring both in its musical historicism as well the sort of longevity rooted in complex inner-workings of recycled originality. Burial is rising up in ranks on my Last.fm charts, and fast. Admittedly dubstep has become a bit of an obsession of mine; but whereas dubstep is common in forms bordering on drill’n’bass and IDM, William Bevan’s strain is something on its own entirely. My first exposure to the South-Londoner’s work was through this album, Untrue, constituting a thirteen-part story in rhythmic, rain-weathered musical dialogue that refuses to tire in its bruising echoes and looped vocals thumping against the conventional backdrops to London’s dubstep scene. This second studio release, following his self-titled debut and two EP’s including the revolutionary South London Boroughs, marks a coming of age for the underground producer, bringing dubstep into the household mainstream and fronting many top-album line-ups including The Wire‘s. 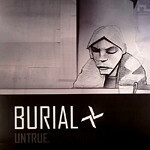 But unlike Skream, Various Production, Architeq, or even Barry Lynn’s Boxcutter, Burial’s story-telling ability from ‘Untitled’ through till ‘Raver’ is in essence a constant repackaging of a series of hollow harmonies and street samples fused together in a dark space so absolutely transporting. ‘Etched Headplate’ has experienced so much replay and yet, despite having worn it deep in memory, it continues to instill within me the same paroxysmal emotion that was felt in the first round listening. Along with fellow Hyperdub greats, Bevan’s work takes a while to fully appreciate for some; indeed this album has continued to grow on me much like my favourite Saint-Émilion in safe-keeping (I hope). And much like the mystery that envelops the ‘low-key’ persona behind Burial, Untrue is an enigmatic and addictive masterpiece of the London dubstep legacy. 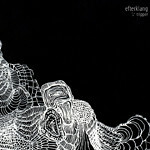 The nine-member outfit of Danish group Efterklang is as variating in sound as it is numerous in members: whereas the most recent Parades release was just alright, Tripper serves as a much finer, more serious presentation of some rather impressive post-pop and folktronic synthesization. Similar to Múm in its sensibilties of post-everything-ness, Efterklang (Danish for reverbration) are another beautiful example of The Leaf Label’s extremely dynamic roster, ranging between legends such as Japan’s Susumu Yokota, Mexico’s Murcof, and Putney’s own Kieran Hebden. Having first been drawn to ‘Prey and Predator’, it becomes immediately evident how complex this group’s track structuring layout can be — undulating between vocals, vocals-as-instrument, and instrumentation in full refrain. With a sweet youth about them, the fronting male and female voices unite to carry keyed melodies accompanied by toytronic effects in the fringe of supporting orchestral lines. With close ties to the visual arts and collaborations with fellow Copenhagener Karim Ghawagi (also visual director for Trentemøller), there is a strong imagery-inducing aspect to Efterklang’s work, subsequently lending itself well to music video production post-release. ‘Doppelgänger’ is heartfelt and extremely moving in its choral quality, while ‘Tortuous Tracks’ sounds more like a single off of a BPitch Control compilation, dancing between glitch and bit-bop only to later transform into the more post-rock, Sigur Rós-esque sound of a muted trumpet and shoegazing effects pedals. 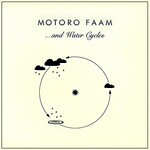 Culminating in the eleven-minute ‘Chapter 6’, this is a must-have album for hibernation rotation. For those who have seen the 2007 biopic directed by Olivier Dahan, Édith ‘La Môme’ Piaf was indeed the little sparrow of mid-Twentieth Century France. As can be heard on this quintissential collection of seventy-two of her finest singing renditions, what Piaf made of the chansons françaises tradition was unparalleled by others before her (arguably as well as those who came after her). 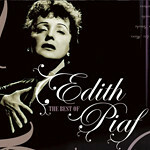 The star album of last year’s holiday season line-up, this volume chronicles Piaf’s successful career, spanning from her rise at Paris’ Le Gerny under the guidance of Louis Leplée, to her later successes after re-invention alongside Raymond Osso and Jean Cocteau, up until and through World War II. Released on EMI Records in 1988, classics such as ‘La vie en rose’ and ‘Adieu mon coeur’ are brought to life once more in a beautiful timelessness that owes as much to the recording quality as to Piaf’s earnest, entertaining and often humourous singing of melody. Hers is a character reminding of times of yore, yet magnanimously in a manner evoking nostalgic sentiment rather than disdain for the outmoded. A classic by very definition, the French chanteuse offers everlastingly dramatic storytelling in the likes of ‘Qu’as tu fait John ?’, ‘Les amants de Paris’, and the flamenco-kissed ‘Jezebel’. One of my favourites, ‘Si si si si’ featuring Eddy Constantine, continues on with the prevalent theme of love, with an offering made specially for Christmas in ‘Le Noël de la rue’. I guarantee listening to this album will become as much a traditional seasonal instition as watching It’s a Wonderful Life is known to have become for many families today. The reason for having come across these two volumes several years ago was due to my long-lived fondness towards Tomaso Albinoni’s Adagio in G Minor for organ and strings. 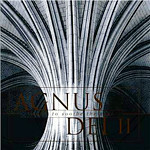 A Latin term meaning ‘Lamb of God’, Agnus Dei is the musical equivalence to the liturgical text of Christian theology set to classical and choral compositions. As each setting varies, some are better (and much worse) than others, though fortunately enough this album happens to include a beautiful version of Albinoni’s Adagio as well as Górecki’s Totus tuus, Rachmaninov’s Ave Maria and Samuel Barber’s incredible Agnus Dei adagio. Thus Director of Music at New College, University of Oxford, Edward Higginbottom has managed to compile a magnificent choral collection against many odds, harnessed by the polished talent of the singers of the New College Choir. Really quite suitable for year-round listening, this is one of the most relaxing and uplifting classical collections I have to date. With seamless recording, Higginbottom provides a refreshing take on the traditional Agnus Dei offerings by way of including the work of the more modern, ‘less stiff’ composers including Henryk Górecki. Miserere by Gregorio Allegri and Gabriel Fauré’s Requiem: Libera Me are sung in expressed elegance, an enhancement brought forth by dynamics very similar to the musical synchrony found in Zbigniew Preisner’s epic Requiem for My Friend. Even for some who have a natural aversion to Eucharist assemblages, if motion-picture soundtracks like those for Elizabeth: The Golden Age and The Passion of the Christ were tolerable, both volumes I and II of Agnus Dei will be liked, and perhaps even more so.